Successfully saved Instant Pot Paleo Chili to your Calendar. You can also save the ingredients to your Grocery List. The BEST Paleo Chili, made quick and easy in the Instant Pot! 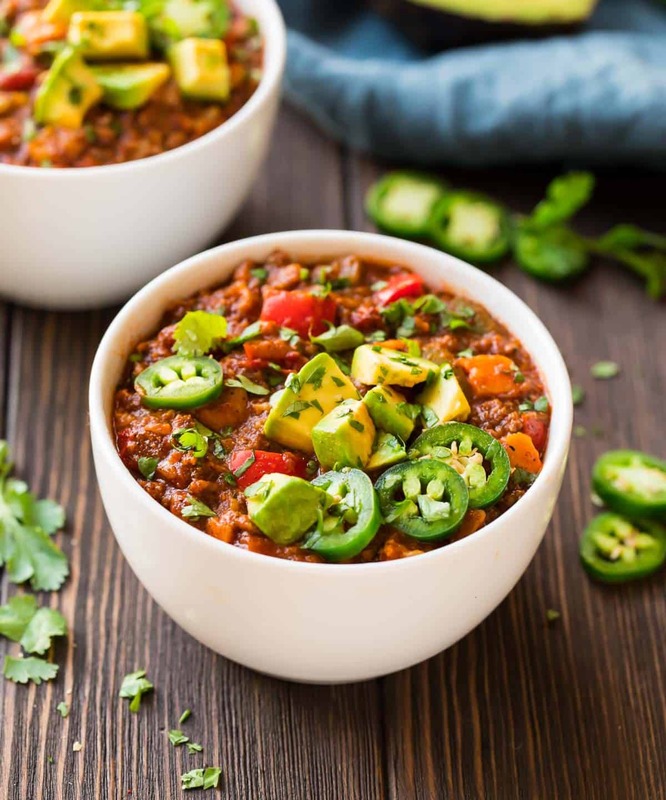 With ground beef or turkey, sweet potato, no beans, and fresh veggies, this healthy chili recipe is Whole 30 and Paleo-compliant, low carb, and absolutely delicious! Recipe includes crockpot and stovetop methods.